"I mean, as long as I ain't gotta swim, I'm cool wit it." "Relax, Meowth," grinned Keith. "If I don't gotta swim, neither do you. It'll be cool to see Gary again, and give some of these guys a little change of scenery for once," he added, indicating the balls on his belt. Indeed, Keith Masters was heading out to the Starline Waterfall Observatory and Aquarium, not only to visit his friend who owned the place, but also to give his aquatic Pokémon somewhere different to swim for a change of pace- aside from Meowth, all the Pokémon he currently had on hand were Water-types (and in one case, used to be a Water-type before evolving, but was no less aquatic as a result). Soon, Keith was there, approaching the massive tree growing just in front of the relatively smaller waterfall. Even though it hearkened back to the old days where the extremely strange laws governing Secret Base real estate made it mandatory that Secret Bases be built mostly in caves or in trees, Keith couldn't help but like how the place looked regardless. He approached the door and knocked. Keith was mildly surprised when the door was answered, not by Gary, but by a pair of teenage girls. Similar as they looked, they acted very noticeably differently- the one with the longer hair and the glasses was quite polite and quiet, while the one with the short hair and complete lack of glasses bellowed to Gary that he had a gues. Keith gave a small chuckle as the long-haired girl asked him to excuse her sister. "It's no problem," he said, entering at her invitation. "Nice to meet you, Rina. I'm Keith, and this is Meowth, and I should probably mention that he-"
"-can talk," Meowth finished. "How ya doin'?" "...Someday, Meowth, you'll let me warn someone you can talk before you actually talk to them," Keith said, sounding mildly exasperated, yet grinning at the same time. Meowth grinned back. "Keep tellin' yerself dat," he responded. At that point, Rain's methods, while blunt and lacking the politeness of her sister, proved nevertheless effective in getting Gary to realize he had a guest. Gary exited the aquarium, dried himself off, and greeted Keith. "Hey, Gary," said Keith. "Good to see you. Going pretty good. There's been a fair amount of construction going on back at my place- these two Trainers are moving in to Sludge Wave Coast, and me and my Pokémon have been helping them build their houses. Got a bunch of Water-types with me right now- well, four Water-types and a Dragalge," he amended. "Point being, with everything going on back home, I felt like they're overdue for a little change of scenery, so I came over to see if it'd be OK for them to swim here for the day. That, and I haven't come over here myself in a while," he added. "Hell, last time I was here, Ava was still a Vulpix. And still on my team." Rina smiled as Keith and Meowth introduced themselves and then her eves went wide as Meowth began to talk. She had never seen anything like this before, but there were a lot of unusual things in this world of Pokemon they lived in so she quietly showed them inside. As Keith and Meowth walked inside to greet Gary, Rina sidled up beside her sister and watched. "Awesome," Keith nodded. With Gary having given the go-ahead, Keith produced a Safari Ball, a Poison Ball, a pair of Lure Balls, and a relatively newer variety of ball- its proper name was the Fizzy Bubbles Ball, but Keith personally felt that that was a bit of a mouthful for a Poké Ball name, so he simply referred to it as a Bubble Ball. "OK, guys, come on out!" he exclaimed, tossing all five spheres into the air. From the Safari Ball emerged a handsome, majestic Dragalge. From the Poison Ball, amid a swirl of sapphire sparkles, there appeared a shy-looking Shiny Toxapex. The first Lure Ball unleashed a young Chinchou who regarded his surroundings with excitement, and from the Bubble Ball appeared a Pokémon that, going by color scheme, simply had to be the inspiration for the ball's design- a Qwilfish. The Chinchou ran over and hugged the Qwilfish, and did so completely safely- the ability to avoid unwanted contact with his father's poisonous spikes was second nature to Brighton by this point. And from the second Lure Ball appeared a shy-looking Wishiwashi who looked up timidly at the unfamiliar faces. "So, I think some introductions are in order," Keith stated. "First off, this here is Neville," he began, indicating his Dragalge, who gave a polite bow to Gary, Rina, and Rain. "This here is Aster," he added, gesturing to the Shiny Toxapex who was shyly peeking out from between her numerous spiky legs. "You might have seen her back when we were taking back Cloud Garden from those Ice-types, that's actually when she evolved from Mareanie," he added. "Over here is Hebenon and his son Brighton," he added, indicating the Qwilfish and Chinchou respectively. "And this is Zygill," he concluded, carefully scooping up the Wishiwashi. "All of them are very well-behaved, so I'm sure there won't be any problems," he said. "OK, guys, into the water," he added, indicating the aquarium behind him. At this, everyone present gathered around Hebenon, and with a psychic glow, the Qwilfish Teleported the lot of them from where they'd been sent out to the surface of the water, whereupon the aquatic quintet began to explore. They split up for the most part, but Hebenon and Brighton swam together. "I was considering bringing my Basculin as well," Keith added. "Except... I'm not quite as sure about how well she'd behave," he added sheepishly. "She's a predator through and through, and also, I didn't know whether you had a Red-Striped Basculin- if you got one of those, not bringing Pisces was a smart move on my part- it'd be like Seviper and Zangoose. She's come a long way since I first got her, but she can still be pretty wild at times. Gary was in awe as Keith called out a number of his water Pokemon while the twin sisters eagerly watched from the side. Some of species Gary knew quite well, having some counterparts of his own, but one in particular caught his eye. It was none other than Aster, Keith’s shiny Toxapex that Gary vividly recalled from the time they fought alongside during the winter crisis here in the Cloud Garden just a year ago. He had already taken great interest in the Mareanie family since long before, but Aster was the first one he had seen up close and in person. And while he probably should have been paying his full attention to the battle at hand back then, Gary’s inquisitive spirit and passion for water Pokemon made the moment stand out in particular to him. “She’s beautiful,” he commented as he crouched down for a closer look. Keith then began talking about his Basculin and Gary’s eyes lit up. “I haven’t had the chance to study any Basculin yet myself, even though I studied in Unova. I’ve always been interested in the species distinctions between the red and the blue ones though.” Gary then watched as Keith’s Qwilfish suddenly began glowing with Psychic power and Teleported all of the water Pokemon into the aquarium. “Well that was unexpected,” he laughed as he turned to watch his Pokemon interact with the newcomers. 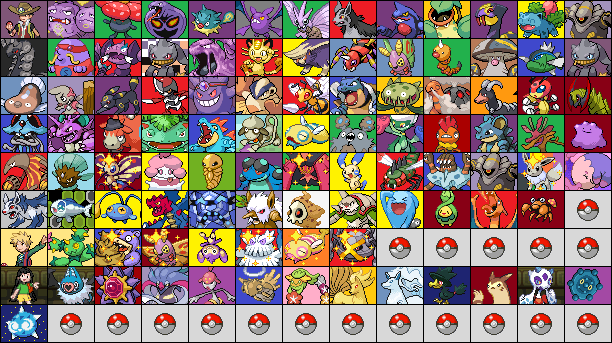 All of Keith’s Pokemon began to disperse within the giant aquarium with the exception of Hebenon and Brighton, Keith’s respective Qwilfish and Chinchou. Gary’s own Qwilfish named Carmilla and Lanturn named Apollo swam over to greet them. True to their nature as schooling fish, Triton the shiny Wishiwashi swam over to Zygill, the tiny sardine-like fish having an innate ability to seek out their own kind and stick together as a defense mechanism. Lastly, Pickle and Percy looked on as the guests entered their area. Percy admired the long branching fins of Neville and waved up at him with a big smile. Meanwhile, Pickle admired the shiny colors of Aster, probably feeling a kindred spirit in her own unique coloration. Antares the shiny Starmie silently watched on through its glimmering blue gem as it clung to the side of a rock formation. “Why don’t we head upstairs for a bit?” Gary asked. Aster hid her face shyly as Gary crouched down to get a better look, but peeked out at him when he called her beautiful. "It is pretty cool," Keith nodded when Gary mentioned his interest in the differences between the two Basculin forms. "Honestly, though, only real difference I ever noticed was how they look, and also the fact that the two forms loathe and despise each other. I once stumbled upon a lake full of Basculin, and Pisces got caught up in a big battle that was brewing between the two forms. She pretty much took command of the whole situation, and the Blue-Striped Basculin won handily because of her. The other Blue-Striped Basculin in the lake wanted her to stick around, stay with them. I even told Pisces that if that's what she wanted to do, there'd be no hard feelings. And she still decided to stay with me," he concluded with a smile. Then, Gary reacted to Hebenon's Teleport. "Heh, you ain't seen nothing yet," Keith grinned. "Hebenon knows so many moves that aren't normal for his kind. Honestly, with my Pokémon just in general, it's best to just expect the unexpected." "He ain't kiddin'," Meowth commented. In the aquarium, Hebenon and Brighton noticed that they were being approached by another Qwilfish and a Lanturn. Brighton flashed his lures in greeting. "Hi! Hi, there!" he called out to them. "Hello," Hebenon greeted Carmilla and Apollo. "I'm Hebenon, and this is my son Brighton." Brighton was looking at Apollo, very evidently impressed, as well as excited, knowing that this was what he'd look like upon evolution. Zygill flinched at the sudden movement, but relaxed almost immediately upon realizing that said sudden movement came from one of his own kind. There was then a look of curiosity in Zygill's eyes as he regarded Triton. "H-hi," he stammered timidly. "I... I-I'm Zygill. I... I've never seen a... I- I mean, you look... Are-are you Shiny?" he asked. Elsewhere, Neville smiled and waved back at the Corsola. "Hello!" he said politely. "My name is Neville, who might you be?" Aster was not nearly as outgoing, but did at least seem to notice that Pickle's look was one of admiration. Indeed, Aster knew what Pyukumuku looked like, and knew that Pickle looked distinctly different from that, with much more vibrant coloration. She knew that they were both Shinies. "Hello..." Aster said softly. "I... My name's Aster. What's yours?" For the moment, Aster hadn't yet noticed the Corsola, nor had Neville yet noticed the Shiny Pyukumuku. Back out of the water, Keith nodded at Gary's suggestion. "Sure," he agreed. Percy watched as Neville the Dragalge waved back and came over to introduce himself. “Hiya, my name is Perseus, but you can call me Percy for short!” As Aster approached Pickle and introduced herself, the green Pyukumuku regurgitated a small white hand that waved in greeting before retracting it back into her body. “I’m Pickle, nice to meet you!” Percy quickly wobbled over on his stubby little legs. “Wow, you’re really pink, just like me! Cool color!” he grinned, showing no fear toward his natural predator. It was most likely ignorance, due to the fact that he was bred and raised by Gary’s side since birth, never having to fend for himself in the wild that caused him to be so friendly and unguarded. Gary smiled as he watched all of the Pokemon getting acquainted. “Cool, let me show you the way.” He headed over to the central tree trunk in which the entire base was built around and gradually made his way up the ladder. Once they were at the top of the ladder, they had entered what you would expect out of a much more traditional tree house, although it was quite spacious and filled with many modern luxuries that you wouldn’t typically expect to find on top of a tree. “Well, here we are!” To the left was a playroom for Pokemon, filled with a big slide, plushies, and flowers. To the right was a living room that was furnished with a television, couches, and an attached kitchen. Towards the back, a hallway led to the bathroom as well as both Gary’s bedroom and study as well as the twin sisters’ bedroom. As they entered the base, Scurvy the Aipom lowered from the branch-like rafters that supported the ceiling, holding on by the grip of his tail-appendage alone before acrobatically swinging to land on Gary’s shoulder. “Aye!” he called out with a hearty grin. "Nice to meet you, too," Hebenon nodded in response. He gave another nod in response to Carmilla as well. "Yeah! Nice to meet you," Brighton echoed. "This place is pretty cool, you guys live here? Can you show us around? Please?" he asked. Elsewhere in the water, more introductions were underway. Aster was talking to Pickle, when the Shiny Pyukumuku's companion came wobbling over, also in admiration of Aster's coloration, this time due to the similarity to his own coloration- Percy the Corsola showed a remarkable lack of fear towards his natural predator. And judging by Aster's reaction, this was quite OK with her, albeit not for the reason one would assume a Toxapex would be OK with the close proximity of a Corsola. Aster's pink coloration intensified as Aster blushed intensely in response to Perseus's remark. "Y-yeah, it's a c-cool color," she said, stammering slightly. "I... it... y-you look good, too, w-with being pink, and, I... Uh... Y-you look nice," she finished, with a shy smile. "I... Uh, I'm not sure if you heard me t-talking to Pickle, but m-my name's Aster. Y-your name's Perseus, you said, right? It's... it's n-nice to meet you," said Aster. Neville watched this going on, before turning to the other Pokémon Percy was with. "So... Pickle, you said, right?" he said. "It's nice to meet you, too." Keith obliged, following Gary up the ladder, which led them into what would've been more like a traditional tree house, but with way more luxuries. "Cool place," Keith remarked, looking around. "Actually reminds me a little of the place I had back on the grounds of the Hidden Mansion- had to build that in a tree, too. I'd probably still be there, too, except it... kinda got completely destroyed," he chuckled sheepishly. "That's a long story, though," he added, shaking his head, before noticing Scurvy. "Cool Aipom," he added. Apollo smiled as Brighton and Hebenon asked for a tour of the aquarium. “Yeah, this place is great. Our old tank was nice, but after the big winter disaster wrecked our home last year, Gary went and built this one even bigger and better than before! Follow me, I’ll show you guys around!” The Lanturn beamed as his antenna glowed softly and slowly swam off, allowing them to follow. Carmilla tagged along for the ride, though she mostly kept to herself. As they made their way away from the left wall and towards the right, they passed by a beautiful stretch of coral that blanketed the bottom of the tank. Apollo waved a fin down at Percy and Pickle, who were busy communicating with Aster and Neville. They navigated around a rocky pillar as Antares the shiny Starmie watched on while Atlas the Tirtouga munched on some sea grass that was planted in the sand. Now that they were nearing the middle of the aquarium, they had reached the area with the greatest amount of open water. Aero the Mantine swooped down to offer a friendly hello along with Euryale the Remoraid who clung to his wing. Sensei the Alomomola waved with his giant mitten-like fin from above while Peach the Frillish and Scylla the Tentacool gently wafted in the current. On the right side of the aquarium there was another assortment of rocky fixtures as well as a manmade structure of an old relic of a small castle. “We were actually able to salvage this from our old tank,” Apollo added as Mera the Goldeen popped her head out from within the castle, smiling up at Carmilla, who seemed to be one of the few that the Qwilfish socialized with. Beside the castle was a giant clam embedded in the sand; Lorelei the Cloyster who seemed to be resting. Neptune the shiny Feebas and Mordred the shiny Magikarp darted in and out of the rocks while Triton the shiny Wishiwashi chatted away with Zygill not too far away. “And last but not least, there’s Devi and Levi,” Apollo announced as they reached the right wall, covered in a rocky slope to mirror the left. Through the dense cover of kelp that grew from the floor Devine the Kingdra and Leviathan the Dragalge could be seen mingling by themselves. “Well, that’s the tour!” Apollo concluded with a grin. Back over as the field of coral, Percy smiled as Aster introduced herself, oblivious to how nervous she was coming off. “Yep, my name’s Perseus, but you can call me Percy for short! Nice to meet you! I don’t think I’ve seen a Toxapex like you before, pretty cool! What brings you guys to this place? Come to see the coral? We got a lot of it here!” Percy spun around to show off the coral around them, but his clumsy nature caused him to stumble. A small piece of coral snapped off his back but he shrugged it off. “Plenty of that to go around,” he laughed, “Hold on a sec, I’ll fix that right up.” Percy closed his eyes and concentrated hard as he began to Recover with astonishing speed. Soon enough the branch on his back had reformed looking sleeker and shinier than before. Pickle smiled and nodded at Neville as she watched Percy’s antics. “That’s me! Nice to meet you too. You look a lot like my big bro and sis, Devi and Levi. Levi is a Dragalge too!” Pickle smiled and blew out some white guts that took a loosely-shaped form of a seahorse. “Kinda like this!” she laughed while wiggling around in the water trying to hold her balance off the ground. Being mobile wasn’t a Pyukumuku’s strong point, but she had a little bit of practice being around so many marine Pokemon. Back up atop the treehouse, Gary had begun showing Keith and Meowth around his home. Scurvy grinned and waved with his tail as Keith complimented him, answering with an “Arr!” Gary laughed and replied, “He’s a bit of a pirate. Feel free to make yourselves at home.” Coming out from behind the kitchen, Amph the Ampharos carried over a platter with various beverages like tea and soda. She prided herself on being a good hostess and a mother figure to Gary’s Pokemon. Belle the Chansey joined her in the welcoming party while Uriel the Togetic flittered around above them. "Oh, your old place got wrecked, too?" Hebenon asked. "My Trainer's old home got destroyed as well, though it wasn't exactly a natural disaster in that case... But yeah- our home got rebuilt bigger and better than before, too, so these things really do have a way of working out, don't they?" The tour then commenced. The tank was massive, putting Keith's swimming pool to shame, expansive as it was. It was clear great efforts had been gone to to make this look like the sea itself, and the work had paid off. Also on the tour, Hebenon and Brighton were introduced to a number of Apollo and Carmilla's teammates, including Triton, Percy, and Pickle, otherwise occupied though they were. Once the tour was over, Brighton spun around in his enthusiasm. "So cool!" he exclaimed. "Thank you, Mr. Apollo, Miss Carmilla," he said politely, aforementioned politeness eliciting a proud smile from his father. "Yes, thank you both," Hebenon added. "We have it pretty good at our place, but this is incredible." Zygill looked over at Triton. "All alone?" he repeated quietly. "Th-that sounds horrible... I... I-I was always part of a huge school in Orta Lake, b-before the bad humans came and- and started making lots of noise, a-and dumping stuff in the water... Keith c-came along, though, a-and reeled us all in at once wh-while his Tentacruel w-worked on trying to clean up the lake, s-since we'd k-kinda been going on- on a rampage... b-but it's nice that we have good friends," he added with a small smile. "K-Keith is a good Trainer to me, a-and a good friend, a-and it sounds like Gary is th-the same for you." Aster's nervousness was lost on Perseus, who told Aster she could call him Percy if she wanted. The Toxapex nodded mutely at this, unable to keep her eyes off Perseus. The Corsola asked what brought them here, but in the process of showing off the coral, he accidentally stumbled, and snapped off a piece of his coral. Aster gave a small gasp at this, feeling a conflicting mixture of emotions all at once- concern for Percy, a sudden surge of hunger at the sight of the free snack, and a horrific fear of what would happen if she decided to act on said hunger. Fortunately, Percy was able to address the first of these concerns right away- he seemed perfectly okay despite having just snapped off part of his body, and through downright impressive use of Recover, regenerated the lost branch with no problem. And while this helped relieve the Shiny Toxapex's concern, she still felt conflicted. That chunk of broken coral was just lying there, ripe for the picking, within easy reach, and undoubtedly delicious. But... Perseus was also right there. What would he say if he saw Aster just greedily gobbling up something that just broke off of his body? What would he think of her? It was clear he had no idea that Mareanie and Toxapex were his kind's natural predators, as he was the first Corsola Aster had ever seen to not be wary of her from the start. "...Th-that was amazing," Aster murmured. "I... I know Recover, too, b-but I'm not sure if it c-could heal me s-so quickly if I- I lost p-part of my body... I- I'm also glad you're OK. Th-that didn't hurt?" she asked. It was taking her considerable willpower to not turn the subject right to the possibility of her eating that piece of coral, but she was managing it nonetheless. Meanwhile, Pickle remarked that Neville reminded her of her big brother and sister, the former of whom was also a Dragalge. More impressively, the Shiny Pyukumuku was able to hork up her guts in the vague shape of a Dragalge. While not the most exact likeness, Neville was nevertheless quite impressed. "That was cool!" he remarked. "I never knew you were able to make your guts take different shapes like that. I knew you could make them kinda like a hand like the humans have, but I always figured that was the extent of it. But that, what you just did, I'm impressed!" Up in the treehouse, Gary explained that his Aipom was something of a pirate, which got a chuckle out of Keith. "Heh, he'd really get along with my old Chatot, then," Keith grinned. "Blackbeard even chose his own name, which should tell you a lot about him." "I don't miss him," Meowth chimed in. "Callin' me-owth an idiot every chance he got, dat got real old real fast." At that moment, some of Gary's other Pokémon showed up to greet their guests- an Ampharos, who was bringing some beverages, as well as a Chansey and a Togetic. The very last one, Keith wasn't all that familiar with, and so he produced his Pokédex. "Togetic, the Happiness Pokémon. A Fairy and Flying-type, and the evolved form of Togepi," droned the device. "Togetic is said to appear before kindhearted, caring people and shower them with happiness. It can float in midair without moving its wings." "Very cool," grinned Keith, accepting some tea from Amph while Meowth looked to see if there was any MooMoo Milk. "You got some nice Pokémon here, Gary, I just wish I could've brought more of mine to show you. I actually caught a Charizard not too long ago." Percy giggled as he listened to Aster. “I bet you could do it if you tried! Although getting hurt first is probably not a great idea so maybe not… But it’s okay though, I’m not hurt! I’m just a little clumsy!” As he talked, despite his happy-go-lucky obliviousness, Percy noticed Aster constantly glancing at the broken off piece of coral. “Ooh, did you want this? Well, it’s not like I need it anymore! You can have it!” With his stubby little arms, the Corsola picked up the small branch off the floor and tossed it where it gently landed at Aster’s feet. As Neville marveled at Pickle’s display, the Pyukumuku smiled at his compliment. “Thank you! I just kind of think of it like making shadow puppets,” she replied as her guts took more of a natural hand-like form and wiggled the ‘fingers’. The hand then closed and formed a thumbs-up before Pickle inhaled it back into her body. "I'd heard about that," Hebenon nodded. "Keith was one of the Trainers who went to take on the Ice-types. That's how he caught his Cryogonal, and that's also where Aster evolved into Toxapex." "I- I'm friends with a B-Basculin," Zygill replied. "I was scared of her a-at first- K-Keith had used her to b-battle my school, and sh-she beat us with Hydro Cannon, a-and I thought sh-she might eat me, b-but she's actually kinda nice." Aster gave a small smile as Perseus confirmed he wasn't hurt, though afterwards, the Corsola then gave the broken piece of coral to Aster. "O-oh! Um... th-thank you," Aster said shyly, trying quite hard not to salivate as she spoke. With one of her legs she reached and picked up the piece of coral, looking over it for a moment. Up close, she could smell it even better, and it was making her even hungrier. "Uh... Um..." Aster took a deep breath. The more she spent time talking with Percy, the more she liked him. But if she just chowed down on that coral, she'd scare him off, she knew she would. Any Corsola that knew the truth about her kind was scared of her, all of them... Those had been bad enough, but Percy was so nice to her- if he was scared off, she'd feel even worse than usual. But surely he'd find out at some point. If not from her, then from someone else who might see them hanging out together and rush to protect him from her... Or worse still- from another Mareanie or Toxapex who might not share Aster's less aggressive approach towards gathering food. Aster took a deep breath to try and calm herself. Perseus deserved to know the truth about her kind. "...I like how coral tastes," she said quietly. "I... All Mareanie and Toxapex do. Th... that's why I was so interested in that p-piece of coral that broke off of you," she said. "I... I'm sorry, I... I should've said something, it's just... y-you're the first Corsola to- to ever not be scared of me... y-you're so nice to me, and I... I don't want to sc-scare you away, too... I... I would never hurt a Corsola for their coral, I- I swear," she added, sounding close to tears at this point. "Very cool," nodded Neville. Then, he looked at his long, ragged-looking fins, and after a moment of thought, tried to form the shape of a Pyukumuku with them. It was a respectable attempt, but Pickle's Dragalge likeness had clearly been the better of the two. "Heh, well, I'm no longer the one to talk to about making that happen," Keith chuckled sheepishly. "I referred to Blackbeard as my old Chatot- that'd be because he's no longer mine. Couple years back, when the old Elite Four randomly reintroduced PC storage limits, Blackbeard was one of the Pokémon I had to find a new home for. That was... a sad time," he sighed. "Ron... Molly... Nitro... Kevin... Pepperspray... I still miss 'em all." "I don't miss Marv and Harry so much, though," Meowth piped up. "But Kevin was alright." "They all made things interesting, for sure," Keith stated. As the subject turned to Charizard, Gary explained he also had one, stating that his was rather unique, which piqued Keith's curiosity. As he said he could probably call her over, Keith nodded. "Sure, go for it," he said. "I'd like to see her." Gary briefly put a hand to his mouth as Keith talked about his old Pokemon. “Oh, sorry! I didn’t mean to make you think of old comrades. I know how it feels though; some of my old friends were separated the same way…” He then smiled as Keith mentioned that he was curious to see Ramoth. “Okay, give me just a second.” Gary walked over to the front door and opened it as he stepped out onto the balcony. He took a deep breath and blew out a shrill whistle that echoed across the mountainside. A few moments passed by as Gary’s eyes scanned the horizon. “Oh, there they are!” he called out, “They probably thought I was calling all of them.” A number of silhouettes could be seen blotting out the sunlight as Gary’s collection of dragons soared in from the east. There was a Flygon, a Dragonite, and last but not least Gary’s longtime Charizard, Ramoth. Her golden scales glistened in the sunlight as the three of them circled the treehouse. “Sorry guys, but I was only calling Ramoth,” Gary chuckled. Brynhildr the Dragonite quickly lost interest and swooped down to bathe in the waterfall while Khepri the Flygon descended to the ground. Ramoth slowly flapped her wings as she came in close and landed on the balcony. “Well, here she is!” Gary called out as he reached out to stroke the Charizard’s snout. There was an elegant regality to the golden Charizard, but she wasn’t above receiving affection from her trainer. Zygill nodded and smiled in agreement with Triton's words. Then, at the invitation to meet the Shiny's friends, Zygill instinctively felt nervous. But he reminded himself that if one of his own kind was friends with them, what was there for him to worry about? 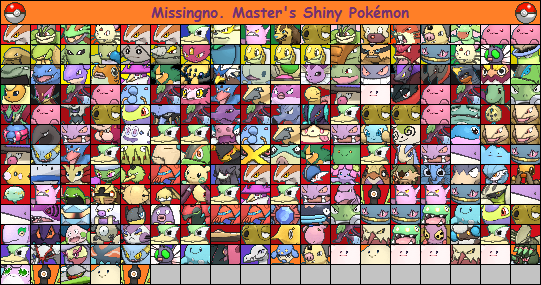 The nervousness was of course understandable for a being so weak as a Solo Form Wishiwashi, but Zygill was quick to banish it this time around. "S-sure! I'd like that," he nodded. The following few seconds were the longest hours of Aster's life as she waited anxiously for Perseus to respond to what she'd said. She trembled slightly in silence, terrified that she might have just scared off such a nice, pleasant, and handsome Corsola... But then, Perseus spoke up, right back to his upbeat, cheerful self as he stated that Aster liking the taste of coral was all the more reason for her to have the piece he'd broken off. It took Aster a moment to process this. When faced with the grim truth about Aster's kind and what they were so infamous for, Perseus's opinion of Aster didn't seem to have changed one bit. Aster's eyes lit up, a relieved smile crossing her face. "Oh... th-thank you. Thank you!" she smiled, before proceeding to eat the piece of coral. And contrary to the most graphic of Toxapex's Pokédex entries, Aster didn't drop a crumb. Her politeness became quite evident as she ate the coral, savoring every delicious bite. Easily the most delicious piece of coral she could ever remember having, though whether this had anything to do with her feelings towards the source or the fact that said source, in what was a first for Aster, offered it up willingly, was uncertain. Either way, as Aster finished eating, she smiled at Percy. "Thank you so much," she said. "S-so, Percy... what do you like to do for fun?" she asked. "Well, I like the occasional leisurely swim," replied Neville. "And battling- I love a good battle. I actually evolved while battling a huge Gyarados that was on a rampage, in order to get me and my Trainer out of its Twister attack." "Nah, it's OK," Keith assured Gary. "Much as I miss them, it's kinda nice to think back to those times every now and then. Better than forgetting them completely, right?" Gary then gave a sharp whistle, which seemed to call over more than just the Charizard. Keith was impressed by all three Pokémon, though the Dragonite and Flygon seemed less than impressed at the knowledge that Gary had only called over Ramoth. Keith gave a low whistle, clearly impressed with the golden Charizard. "Beautiful," he remarked. "So, I gotta ask, what's the story with the golden color?" he asked. "Because Charlie's definitely not that color, and I'm pretty sure Shiny Charizard have black scales- this is definitely a new one on me."